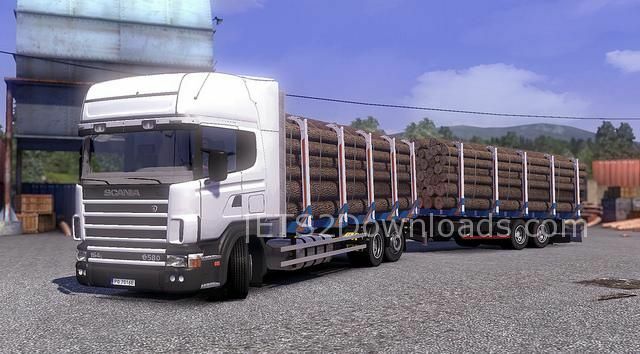 This edition of Scania truck is fully standalone. There are 4 cabins, 22 chassis, own interior, wheels and tunings. There are also tandem trailers. The truck supports all DLCs.